So when we found brand new Italian furniture and accessories company Mogg, a company representing the best of this Italian tradition, we were more than a little excited! Mogg (MObilli = furniture & OGGetti = objects) was founded by architect Nicola Galbiati in 2012, and his company works with a range of award-winning designers – many established names in their own fields of art, architecture or furniture design – or as Galbiati puts it “partners of vision – crazy dreamers”. Their idea is to “limit the boundaries between art and design” and the result – a collection of exciting new furniture and accessories that we think are not only stunning designs for the home, but true investment pieces for tomorrow. And as an introduction to this amazing brand we’re offering a special 20% discount on ALL Mogg designs up until December 20th. Just quote MGBG20 when ordering. The Botero dining table is the sort of brilliant idea that leaves us puzzled as to why no one ever thought of it before (like all the best ideas)! 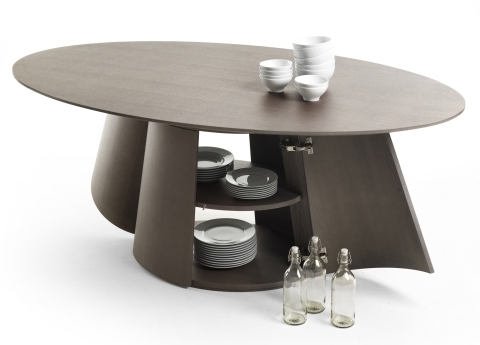 Designed by Alessandro Masurzo, it includes an incredibly useful storage cupboard in the base. Two sizes and three finishes – including one with a beautiful Carrera white marble top. Bellissimo! 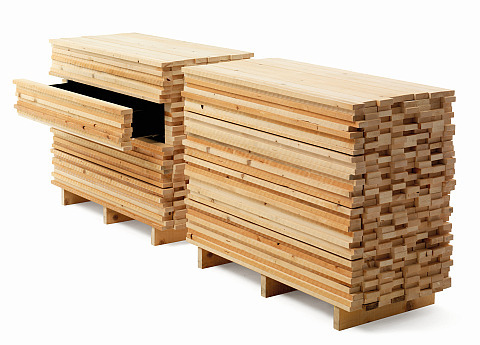 The Ordinary Day (in the woodshed) sideboards by Raphael Charles, must have the most poetic title we’ve ever come across, and we’re so impressed with this design that there will be one on display in our showroom very soon! This great sideboard, made from solid fir, looks just like a pallet stacked with freshly cut timber, but the clever illusion incorporates a very practical four-drawer sideboard, with a black lacquered interior. Remember ‘Being John Malkovich’ (one of our favourite films!) ..? Well the Rooms cabinet (there’s also a sideboard) was the filmic inspiration behind this stand-out design! 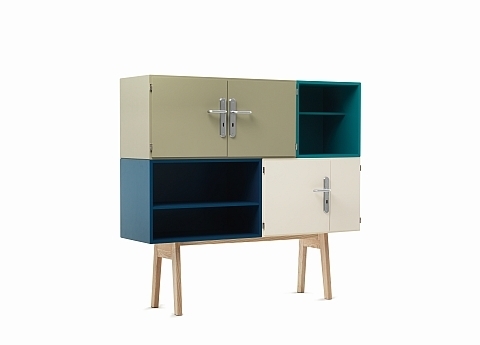 Created by award-winning designer Diego Grandi it has 50s style door handles on the cupboards, four gorgeous RAL colours, and sits on an American solid ash wood base. Yes! Yes! Yes! (and that’s our inspiration from another iconic American movie!). Designed by Nathan Yong (named Most Promising Young Designer on the International Scene by Interni Magazine in 2011 and then going on to also bag himself a coveted Red Dot Award) the Casetta is made from solid Ash in pure white, with an open-pore finish so that you can still see the beautiful texture of the wood. 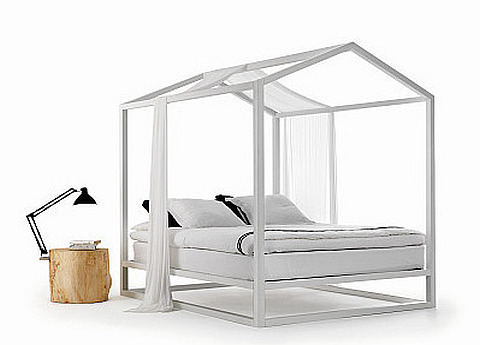 A simply beautiful, clean, and geometrically pleasing contemporary version of the original. We know you’ll love this brand as much as we do. So take advantage of our special introductory offer, and quote MGBG20 when ordering. To see the full Mogg collection click here.